H: 10 in. x W: 8 in. 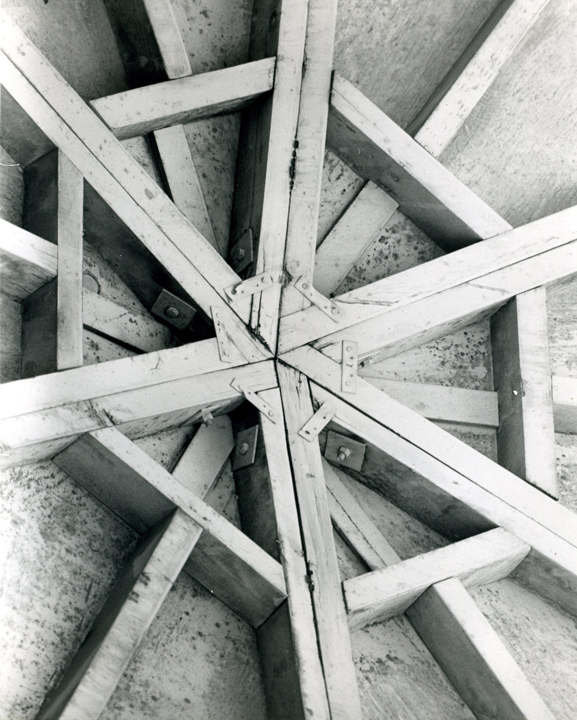 The photograph documents basic geometry, in this case a complex hexagram of six triangular wedges used in a humble state park facility to create a round structure. Nickel was intrigued by the tension between the lines moving outward, penetrating the blocking, and the enclosing of those lines by the hexagonal shape.